Some words about the most famous casino-providers! There are some game makers that appear to be the first choice of every casino; these are casino software providers like Net Entertainment and Betsoft, and have become very popular among those running online-casinos around the planet. This is obviously because online players want to see games from these big companies. Let’s look a little closer on these three companies, and the casino games they offer. 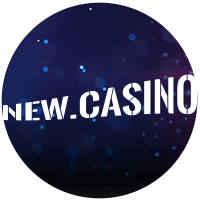 Net Entertainment is now a well-known name in the casino games industry, and casino after casino are providing their games and graphics. This company started in 1996; but it is during the 21st century; that they got real momentum in this market and especially in the last 3-4 years. Netents CasinoModule is award winning and you can expect hundreds of games that can be controlled with very clever software. The one who operates a online-casino would be wise to choose Net Entertainment, as it guarantees the type of games that players are looking for. Here you’ll find a smooth running casino and security; which is a must when it comes to online gaming in general. Today, Netent is listed on Nasdaq OMX Stockholm; and later annual reports indicate that it is really good for this game maker. Not only that a lot of new casinos are interested in using the complete casino package that NetEnt have on offer; the company have recently been expanding to many different countries, and now North America is also becoming a market where people will recognize Netent’s glorious casino-offerings. Naming Microgaming after Net Entertainment as an influential software provider is actually a bit of fun. Microgaming was for a long time the only game software that people really respected and preferred. With Microgaming offering online games since 1994, there is a lot of experience here , as reflected in the casino products Microgaming presents. Initially, it was always necessary to download Microgaming casino-software; but when people started claiming games online, new Flash variants were created; and today, one can easily find a Microgaming casino where you can play everything directly through the web-browser. Microgaming has come along way; and they are behind big titles like Lara Croft Tom Raider and The Dark Knight Rises. Like Net Entertainment, they have also invested in mobile games; this to offer their games to those who prefer betting from their mobile phone. Betsoft appeared on the casino market in 1999 and has established itself as a big quality casino software-provider. Here it’s especially their 3D-slots that have received much attention; and are often found at casinos offering other game software from the likes of Netent and Microgaming. In addition to slots they have developed some really sharp video-poker games that are many players first choice. Betsoft’s games may not be as well-known as Microgaming and Netents; but they are so professional that they constantly appear when it comes to a quality casino-games online. The new casino market is growing – Germany is up for 2019! The growth of online casinos – Africa is up next! New Game Developers for Online Casinos in 2019!